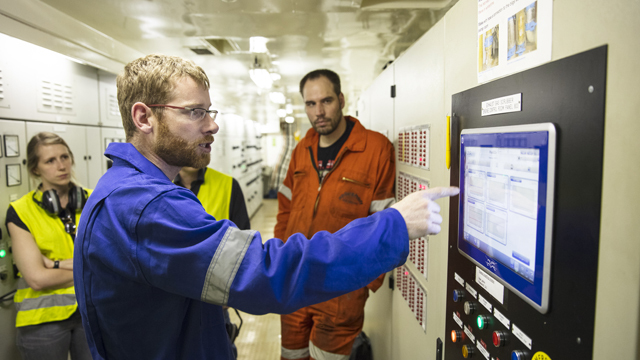 Alfa Laval PureSOx has been at sea since 2009, providing reliable compliance with SOx emission limits. Over 100 PureSOx systems have been installed to date, and every one of them is in compliant operation today. Among the satisfied PureSOx customers are many who have returned to Alfa Laval for additional PureSOx systems. Dutch ship owner Spliethoff was among the first to install PureSOx. Today the company has 18 PureSOx systems, plus considerable insight when it comes to working with them. “The reliability has been very high,” says Technical Support Engineer Roland Hoogeveen. PureSOx has an extensive reference list. It includes a broad range of vessel and system types, some of the world’s largest SOx scrubber installations and repeat orders from satisfied customers. View our reference brochure to see more details about our experience.